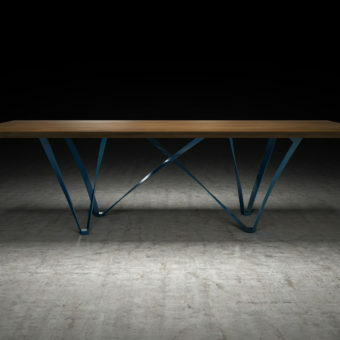 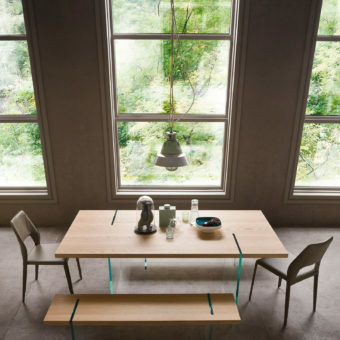 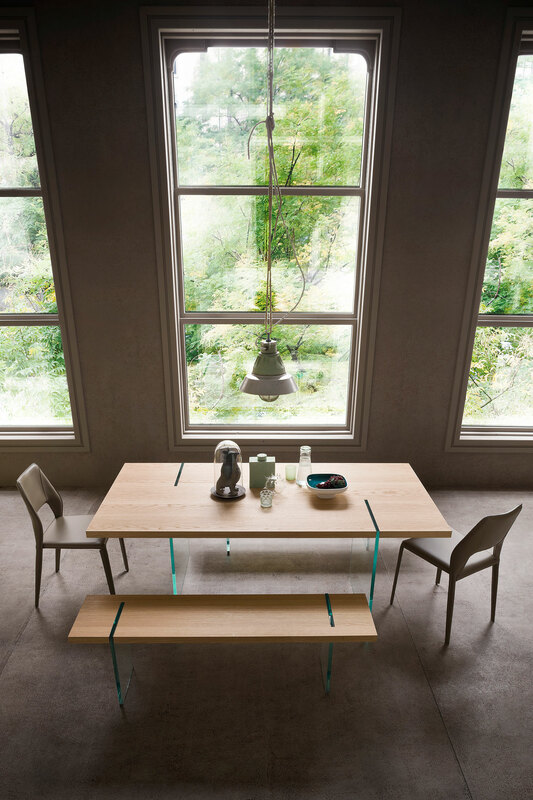 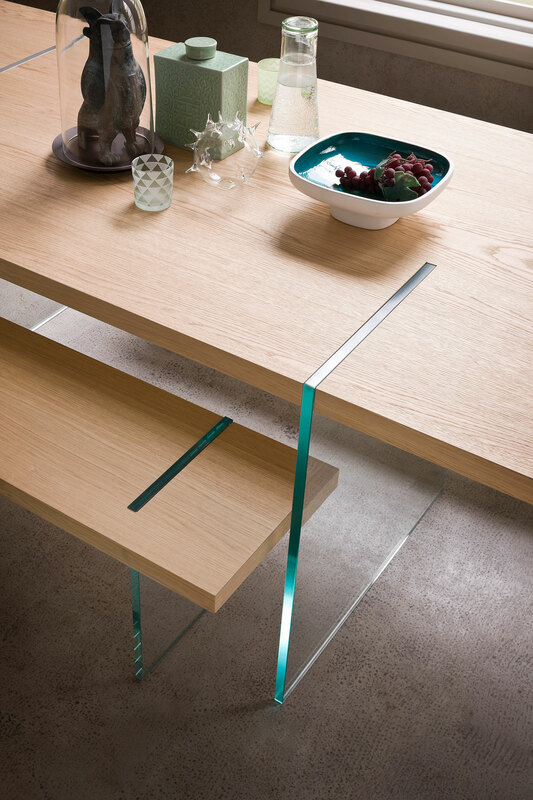 Giving the illusion of movement, this extraordinary table is infinitely memorable. 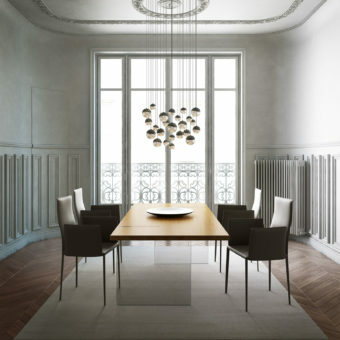 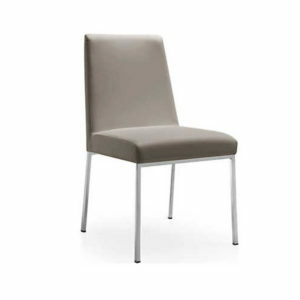 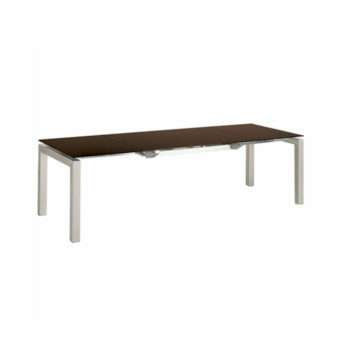 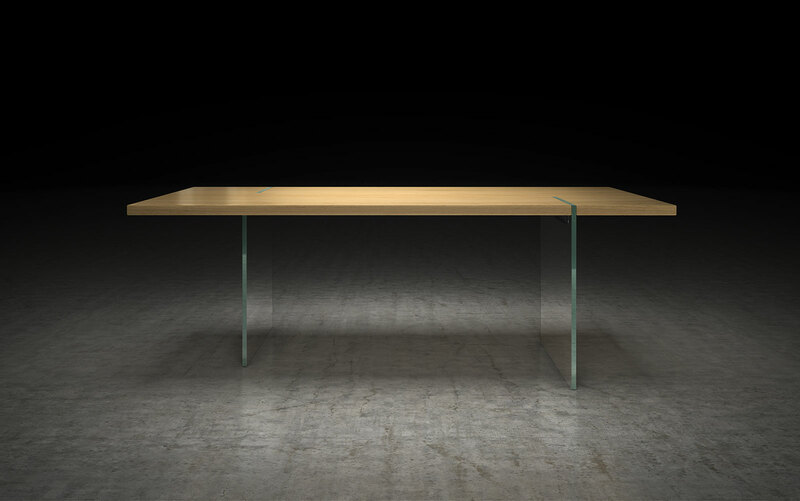 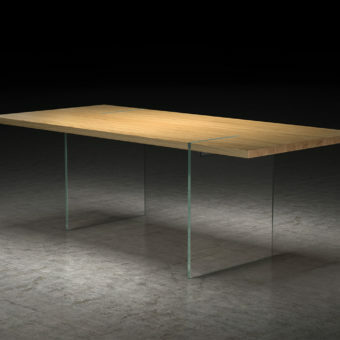 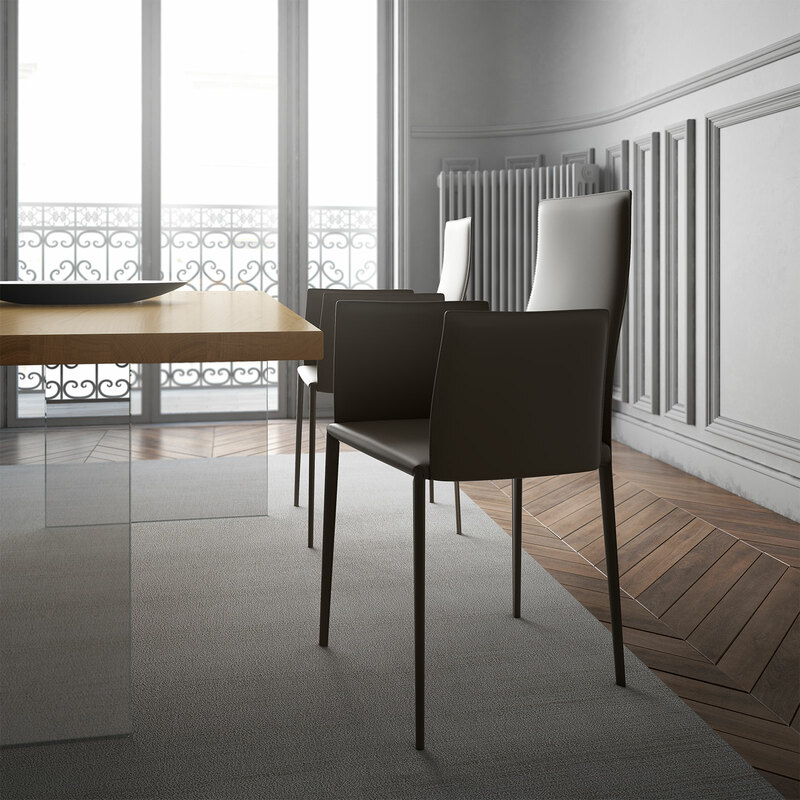 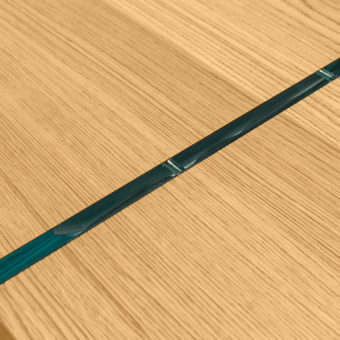 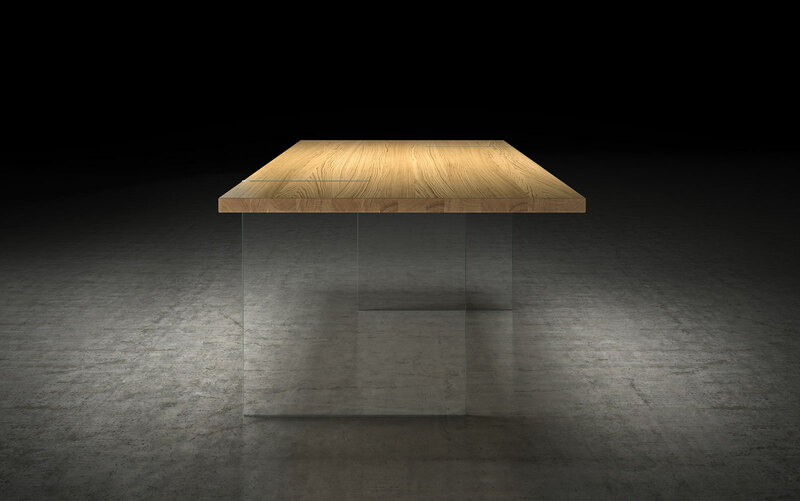 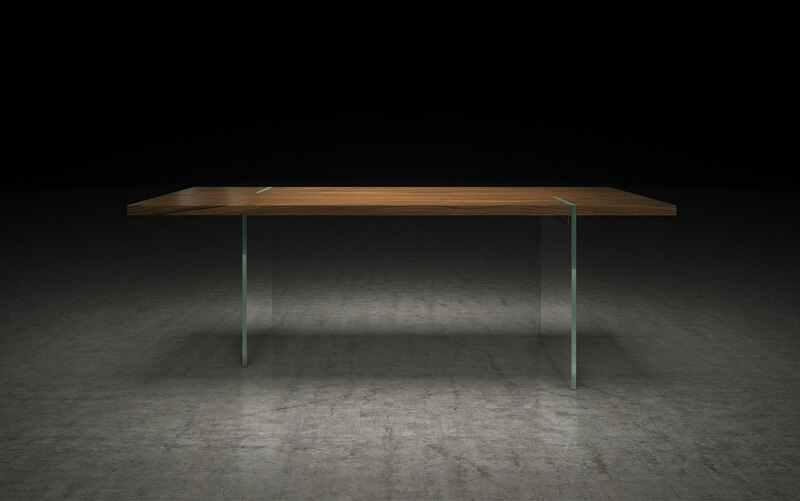 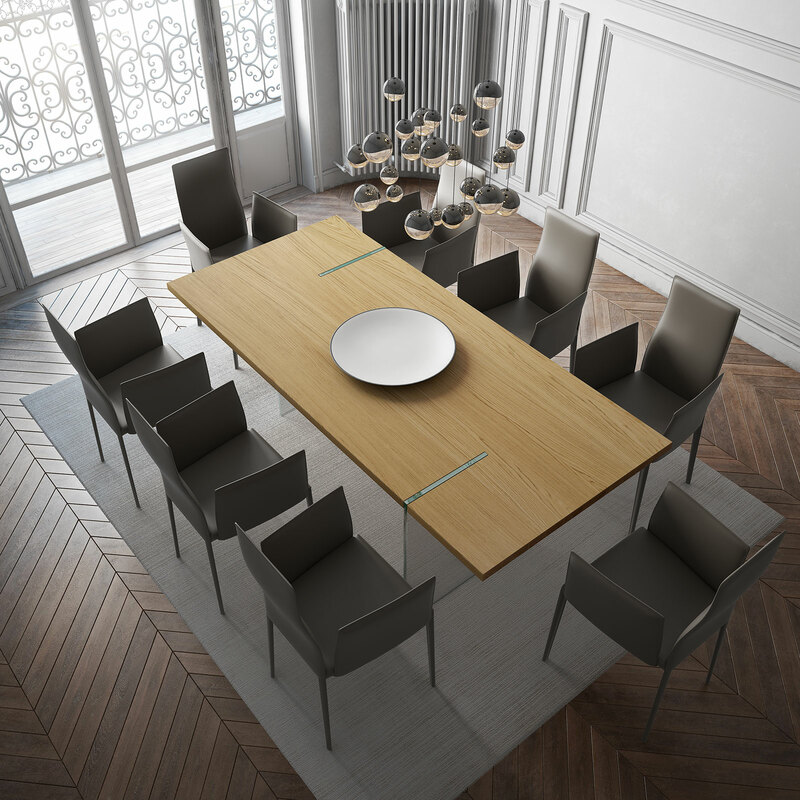 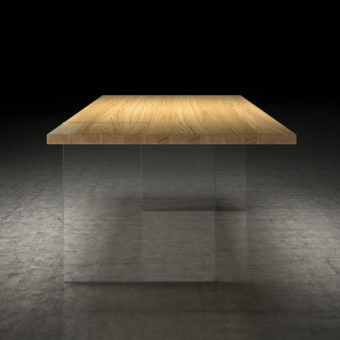 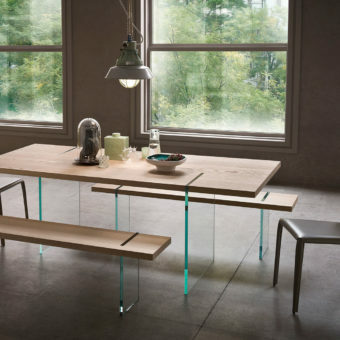 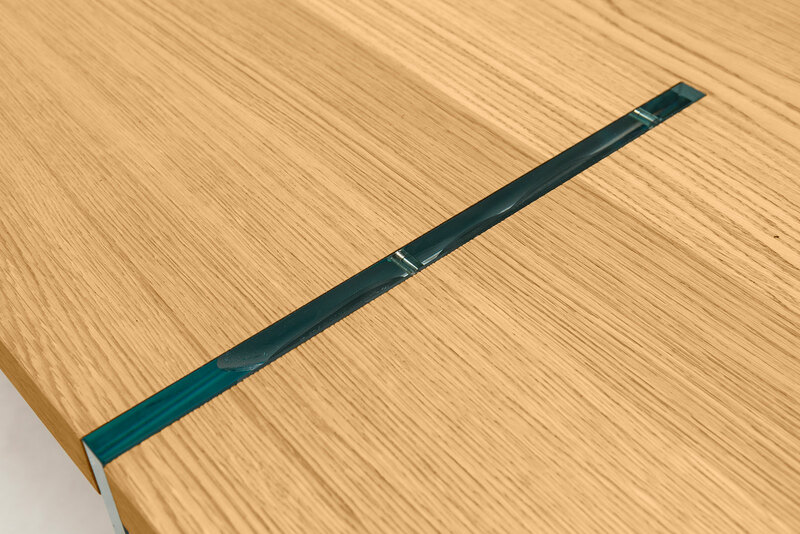 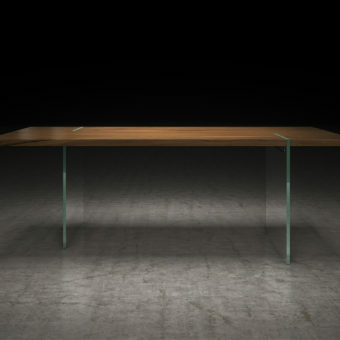 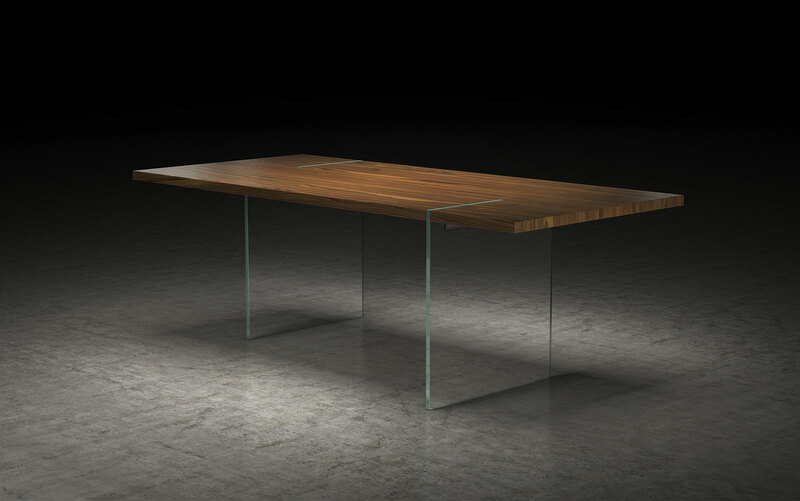 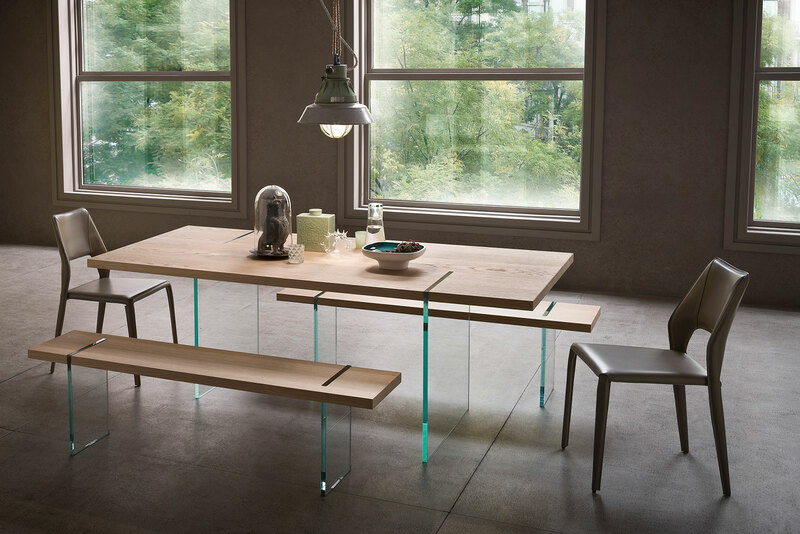 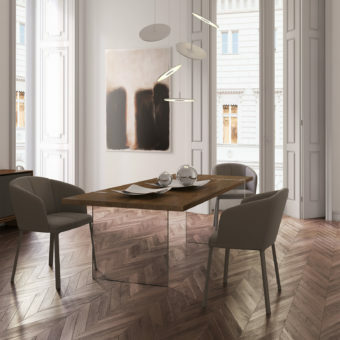 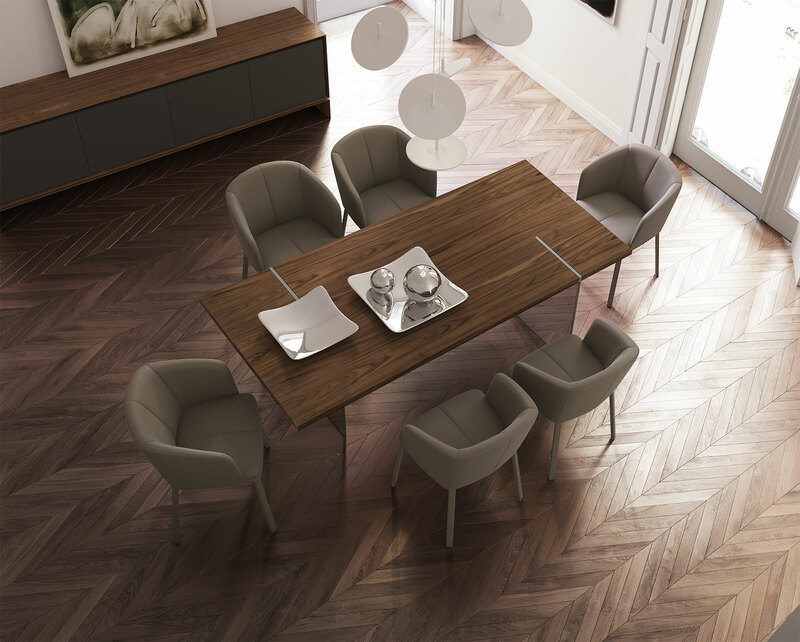 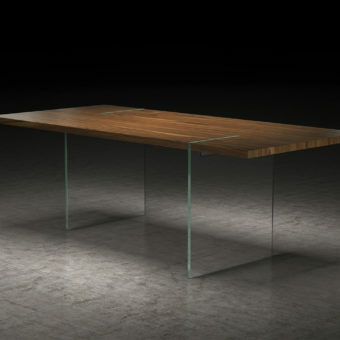 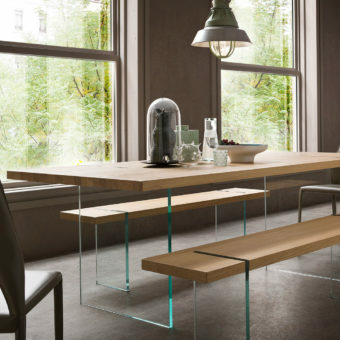 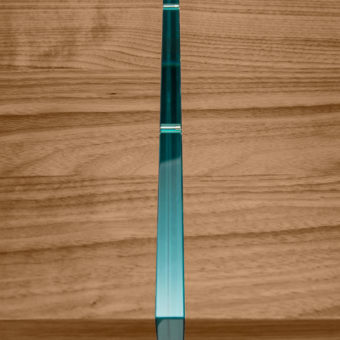 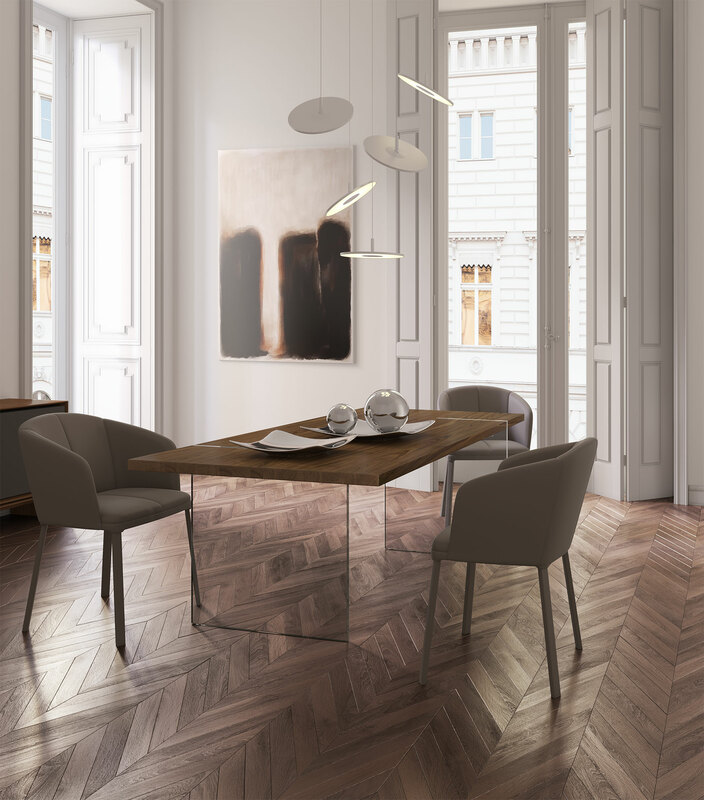 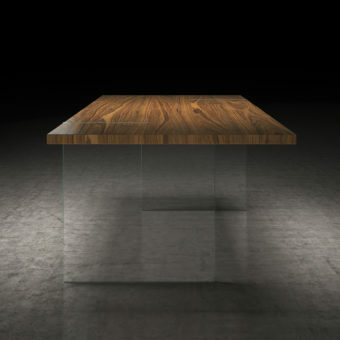 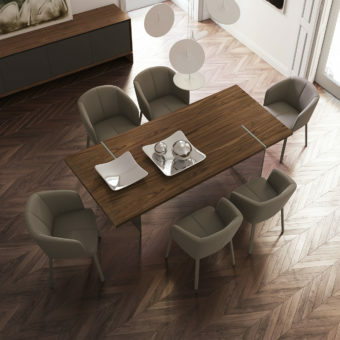 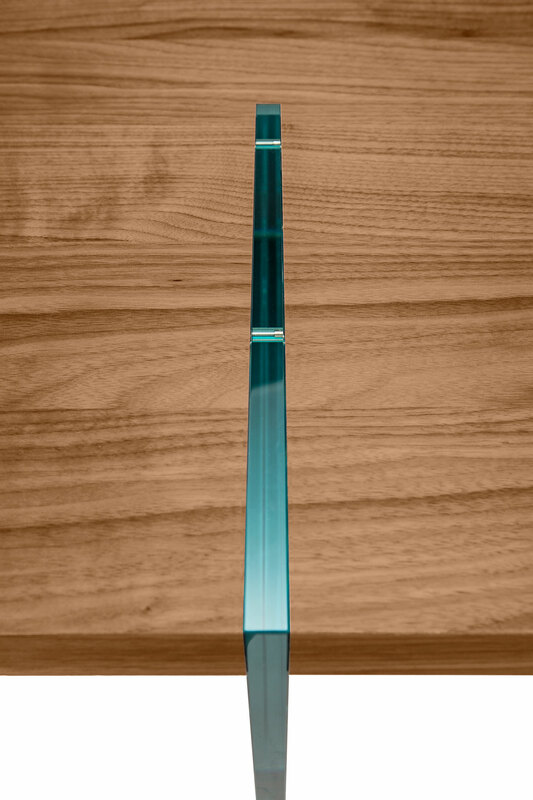 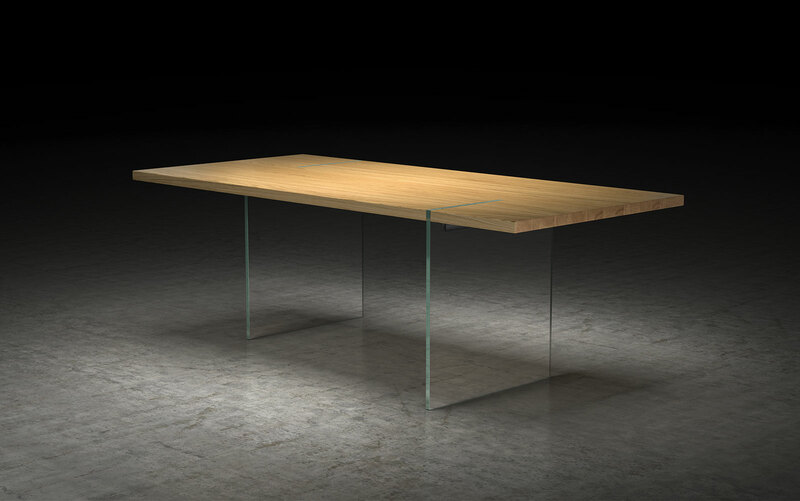 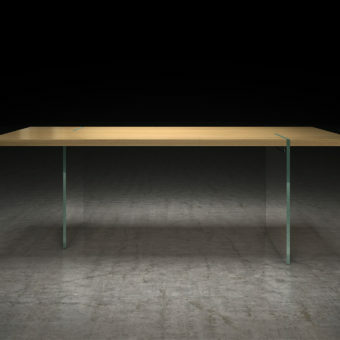 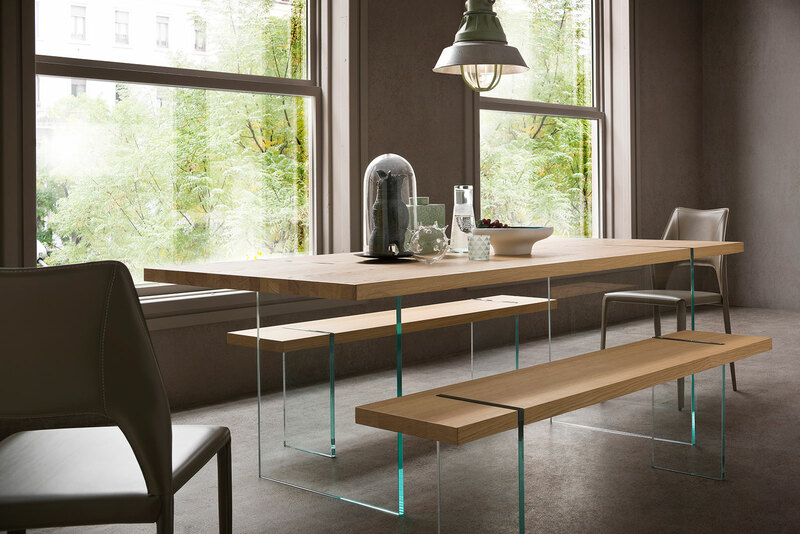 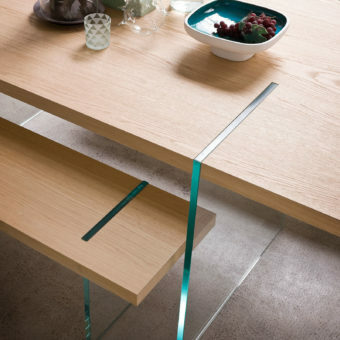 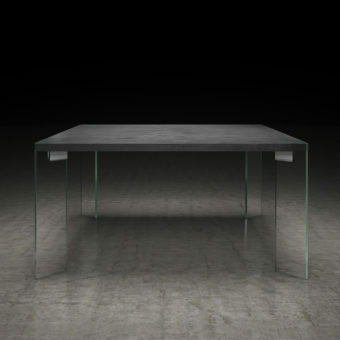 It features two clear glass legs that are perpendicular to the ground and flush-mounted on opposite sides of a textured Italian wood veneer top. Seats 8 guests.